One of the latest raves of the Digital Internet Marketing has now been taken over by Avian – that’s right! Twitter is taking over many places and being the hottest favorite of people. What with news channels opening Twitter channels for current affair discussions to celebrities posting their statuses and what they are doing – everything gets tweeted. 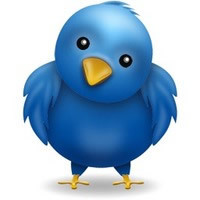 The question that arises – what does the Twitter bird do? Simple – it tweets! “Tweets” was the newest concept introduced when Twitter gained popularity. The posts that are done on Twitter consisting of 140 characters are called a “Tweet”. People or companies generally tweet on their updates. The best part is that you can personalize your own Twitter page and get that matched as per the website or the theme of your choice. The customization makes it have really good features and is an easy attraction for the customers. 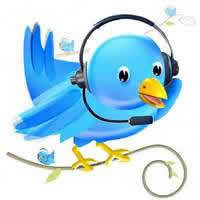 You can tweet away your latest updates or links and URLs from your website or other marketing media. There are some great benefits for getting the Twitter page done. First and foremost is the trust and credibility factor that comes into picture. 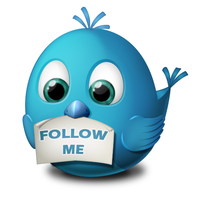 People would really like to “follow” your page – a concept of remaining updated on what you tweet every hour. Having the social media back-bone proves to be beneficial in more than one ways – people do keep faith in websites that have social media pages. This definitely is a one-shot return on investment on the kind of work that you are doing on the social media platforms. There might be direct customers to your website who are highly impressed by the type of content that you tweet and might want to get in touch with the nearest location of your business. Establishing brand is what the main job is – people should know the type of business you are and the kind of business you are into. Pulling up a brand is what will make you look the ultimate business that every customer should go for. It is important to identify your keywords and search queries for which you want to get ranked. Your posts or better still – Tweets should be composed of the keywords that you want to rank for. A very good idea would be to add URLs in the tweets that will lead you to the website where the customers can peruse as per convenience. The tweets that you compose can be social, thought-provoking or plainly two-way interactive and discussion based. Publishing interesting factoids or trivia regarding your interesting will make the customers keep coming back to your social media page and might want to visit your website for detailed documents and information. Putting your Twitter URLs in signatures, newsletters and website are additional perks. Start Tweeting Today!